Jews have always been disproportionately represented among both authors and readers. However, with the affects of technology and the economy on the publishing industry, it is more difficult than ever to see one’s works in print—especially if you are a fiction writer. With fewer—and possibly less challenging—options available, avid readers seeking high-quality contemporary fiction are being shortchanged. 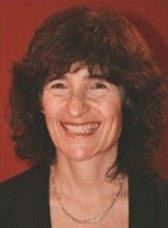 In response, she founded Jewish Fiction.net (www.jewishfiction.net), the only English-language online journal devoted exclusively to the art of literary fiction as practiced, and consumed, by Jews. Launched at Rosh Hashanah 2010, Jewish Fiction.net posts original works every three to four months. With each new edition, subsribers have a wealth of literary fiction to choose from. During its first 15 months, Jewish Fiction.net viewers read 77 short stories or novel excerpts—“originally written in eight languages [besides English] by writers on five continents,” says Gold. And audiences are responding. Readers hail from 83 countries, and as of the end of February, the site had 20,000 visitors—and the number keeps growing. If not a virtual United Nations, Jewish Fiction.net has featured works in translation by Elie Wiesel (French); Marcelo Birmajer (Spanish); Grigory Kaovich (Russian); Gordana Kuic (Serbian); Shira Gorshman (Yiddish); and Nava Semel (Hebrew), among others. English-language writers include Sharon Hart-Green and Gold herself; Clive Sinclair of England; and Ora Mendels of South Africa and England. The latest edition, out last month, includes translated works from Mario Levi, “Where Were You When Darkness Fell,” an excerpt from Levi’s Turkish novel, and “Purimspeil” by Jasminka Domas, originally in Croatian. The site publishes “a very small percentage of dead writers,” says Gold. But viewers will sometimes encounter familiar writers, such as Israel Prize and National Jewish Book Award winner Aharon Appelfeld. In the sixth edition, posted last December, for example, fiction lovers could read the first-ever English translation of S.Y. Agnon’s novella, Ve’haya He’akov Le’Mishor. The first issue featured Israeli novelist Yoram Kaniuk and George Jonas, the Hungarian-born Canadian writer whose book Vengeance about the Munich Massacre of the Israeli Olympic athletes inspired two films. Although she is also from Toronto, Hart-Green didn’t meet Gold until both attended a literary conference in Israel when Gold was launching the journal. Readers can find Hart-Green’s short story entitled “A Sign”—about a lonely single woman in Boston who meets an injured Israeli she may connect with—in the second issue of Jewish Fiction.net. Her hope was that the story work would receive broad exposure by being published in an online journal that “reaches thousands of subscribers who love Jewish literature… “I believe that my story did each a broad audience, since I received many responses from near and far,” the writer says. For Gold, art is a way to bridge differences among Jews around the world, whether these are geographic, religious, or ethnic. “We want to provide an online community for writers and readers,” she says. Now in her fifties, this is Gold’s third career. A trained social worker, she has also been an activist in her home city, as well as a tenured professor who left that career to write full time. Thinking like a social worker and activist, the online publisher says that when she sees a problem or need, she tries to link it to a resource or create one of her own. Gold’s first book, Marrow: And Other Stories (Warwick Publishing, Canada) won the Louis Lockshin Prize for Short Fiction. Recently she completed her first novel, Exile—which does not yet have a publisher. Gold admits, “It’s both a labor of love and a huge amount of work.” Looking forward to the next edition, she expresses the hope that someone will emulate her model—create a Jewish Poetry.net and a Jewish Playwriting.net.